Congress general secretary Priyanka Gandhi Vadra, on the second day of her Uttar Pradesh visit, met party workers from various constituencies in eastern Uttar Pradesh. She took feedback from them about the ground situation, a senior party leader said on Tuesday. Having cut short her visit on Monday soon after the roadshow to fly to Jaipur to be with her husband Robert Vadra, who was questioned about a land deal by the Enforcement Directorate, Priyanka Gandhi arrived in the state capital shortly after noon and drove straight to the Uttar Pradesh Congress office, where she had lunch with party leaders and met party workers. 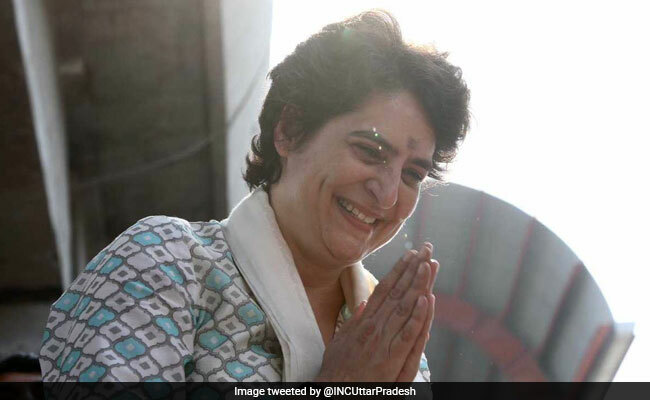 Sources said Priyanka Gandhi was closeted with a small team of the state office during her stay in Lucknow, after which she met party leaders from various districts. She is learnt to be focussed on the "goodwill" that the party still enjoys in many pockets in Uttar Pradesh. "To start with she met many party workers who have been slogging it on the ground in very tough and challenging conditions over the past three decades," a senior party leader said, adding the morale of party workers was very high. On Monday, Priyanka Gandhi along with brother and Congress president Rahul Gandhi and Jyotiraditya Scindia led a roadshow in the state capital.